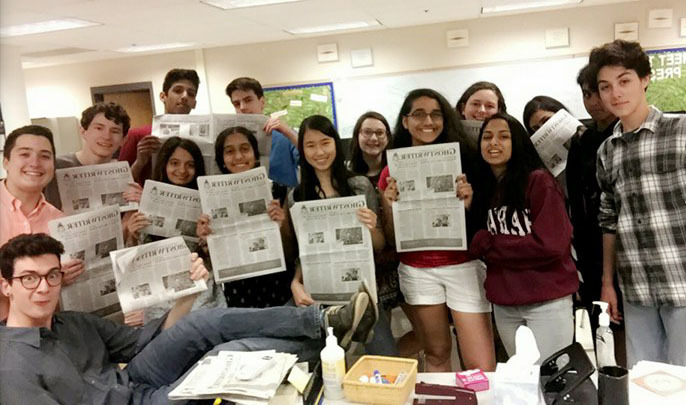 The Westford Academy Ghostwriter is a student-run newspaper at Westford Academy located in Westford, Massachusetts. At Westford Academy, Journalism is offered as a class, in addition to our weekly after-school club. The Ghostwriter strives to inform, entertain, and address the issues in the Westford Academy community with integrity. It is our mission to accurately deliver relevant news, to represent the voice of the students, to celebrate the successes of the school, and to engage the community in debate and discussion. To keep integrity, respect, and ethics at the forefront of our reporters’ and editors’ minds.